Interactive User Interfaces: 3D Touch. The main thing missing from a touch screen interface is feedback; yes some touch displays give a little vibration when touched but don’t offer any real representation of what your touching. For the most part this isn’t really an issue on a smartphone, but as tablet computers are now very popular and considering how touch screen technology is becoming an increasingly common feature in computers and televisions this area of technology is set to become the next big thing and is currently being researched by Disney Research. This looks to be a very interesting and exiting area of development that would serve as a good educational tool within schools, collages and allow people to experience a greater level of interaction in public spaces such as museums. Paragon Project: Edwardian Bench asset. For the Paragon Station project we are also re-creating items that would have been in and around the station such as rubbish bins, lampposts etc.. I have picked to model a bench from the Edwardian period that could have used by people waiting for trains on the platform or in waiting rooms. 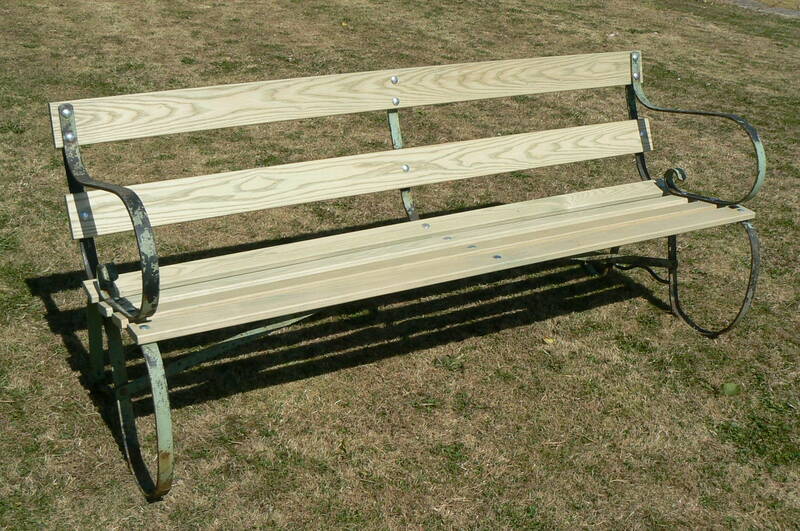 I found several different designs of benches that existed during this period, and decided to model the one shown below. This is the model I made in 3Ds Max using the reference images as a guide.